Full payment must be received at least 14 days before the course start date. If the booking is made within 14 days of the course commencing, full payment must be received within 3 working days of the booking being made. 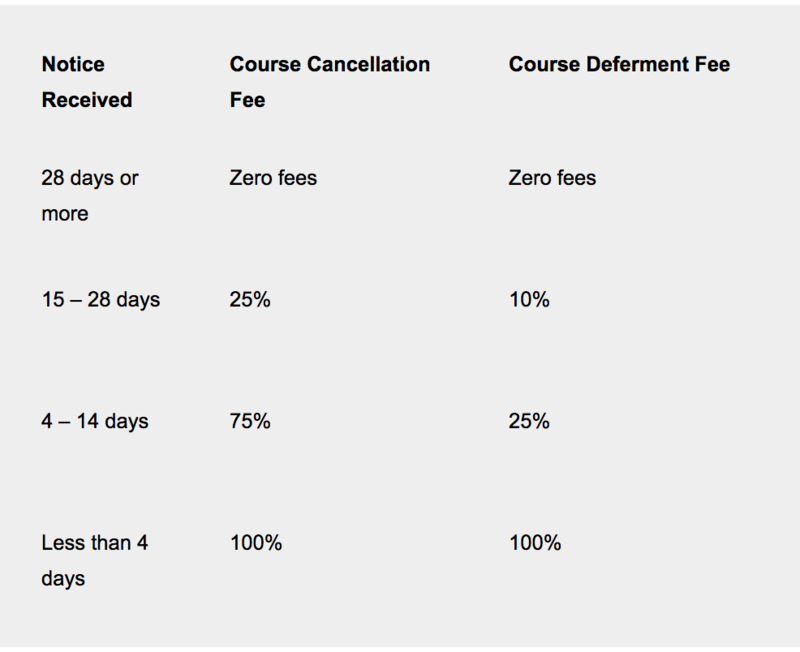 If you wish to either cancel or postpone a course booking, then you agree to pay in full the fees shown below. Your consumer rights are unaffected. Bookings received less than 28 days before the course commencement will receive a pro-rata cancellation and deferment period. In the unlikely event that a course is cancelled by the Academy of Public Speakers, you will be offered the choice of attending on an alternative date or a refund of 100% of course fees paid. Liability for any fees or costs incurred resulting from the cancellation will not be accepted.